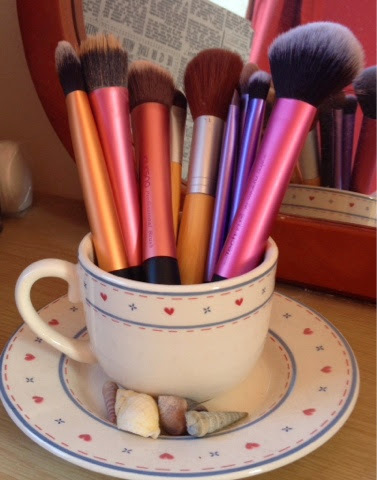 Recently I was lucky enough to win a giveaway from the lovely Rachel who writes Beauty Queen UK. 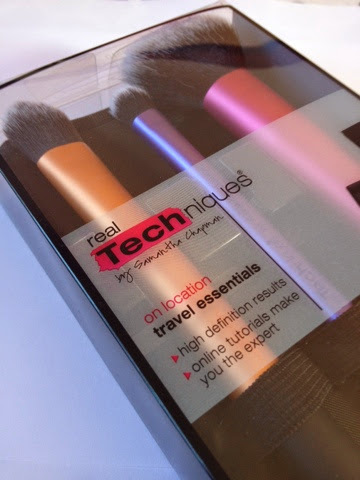 The prize was this great Real Techniques Travel Essentials set and a W7 In The Buff palette (which I will be reviewing separately). 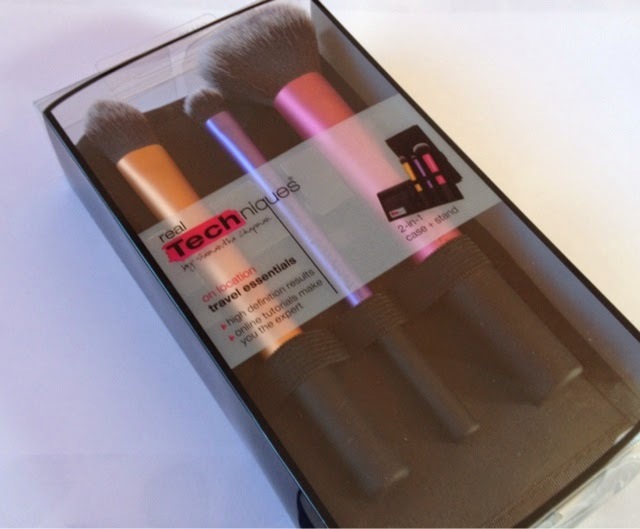 Real Techniques Travel Essentials RRP £20.99 (you can however pick this set up at various prices online). 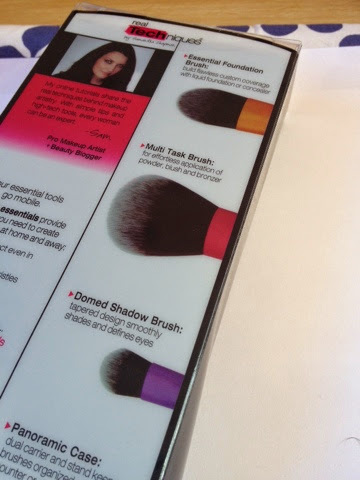 - domed shadow brush: tapered design smoothly shades and defines eyes- panoramic brush case is a 2-in-1 case + stand"
Most of you will already own a RT brush, if you don't you need to invest! One of my absolute favourite brushes from their collection is my stippling brush (which I reviwed HERE, with horribely dark pictures), I have bought cheaper alternatives which just haven't matched the quality and durability of RT's! 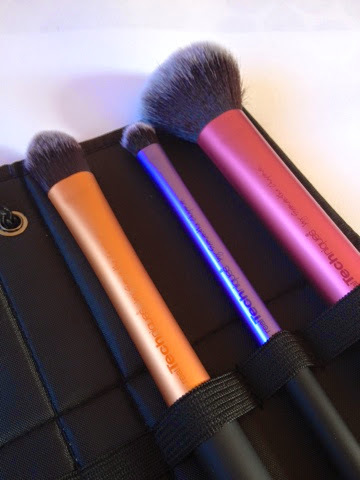 This handy set comes with a travel pouch making it ideal for travelling or overnight stays and with the brushes all being multi-use you don't need to bring along you whole brush collection! The plush synthetic bristles are 100% cruelty free and are super super soft! I really love the aluminium handles of RT brushes as, they are easy to grip and the perfect length. I now have quite a few RT brushes and I look forward to trying more out! 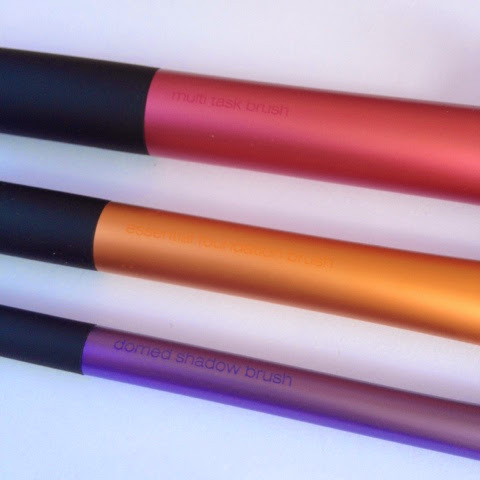 Do you own any RT brushes?